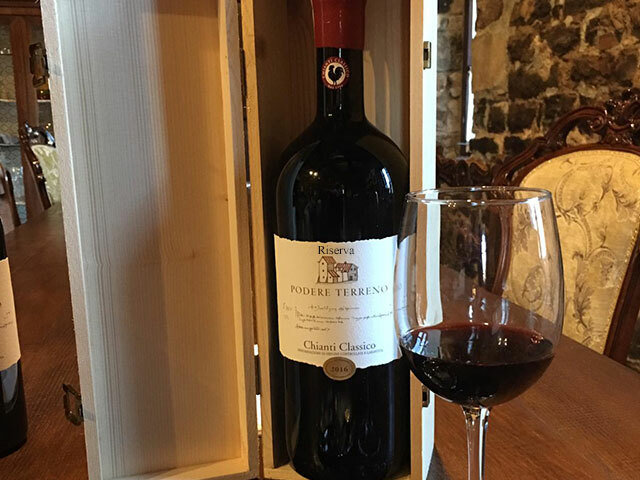 Chianti Classico Wine "Podere Terreno"
Podere Terreno alla Via della Volpaia is an oasis of peace and tranquility where classic wines are produced in a one of the most popular area of Chianti. 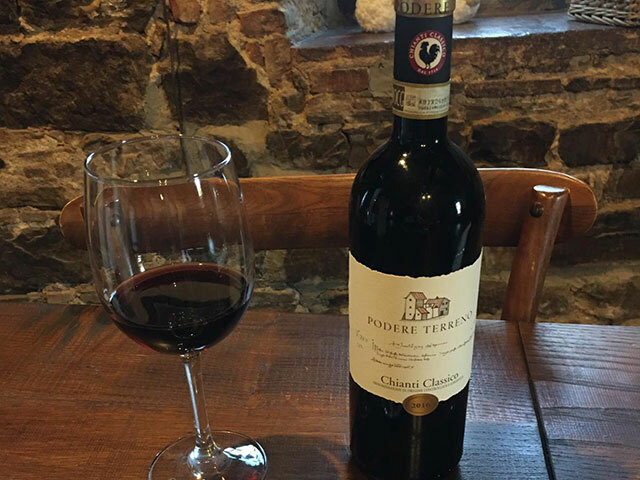 Halfway between Siena and Florence, in the town of Radda in Chianti, stands a farm with an old house surrounded by vineyards, olive groves and oak and chestnut woods, better known over the centuries as "Il Terreno". "A farm with a worker's home located at Volpaia Popolo di San Lorenzo in a place called the Terra ........ " (document of 1465). The farm certainly inhabited since the fourteenth century today is a farm with agritourism active for over thirty years, known by fans around the world for hospitality in a farmhouse of the fourteenth century with wine cellar and vineyards along the Via della Volpaia, between Montevertine and Castello di Volpaia. The vineyards between the ages of 12 and 30 have a total area of about 6 hectares on loamy clay soils rich in galestro and alberese rocks at an altitude of 540 meters, an average density of 5000 vines per hectare with forms of breeding ranging from the spurred cordon in the younger vines to the arch in the older vines. 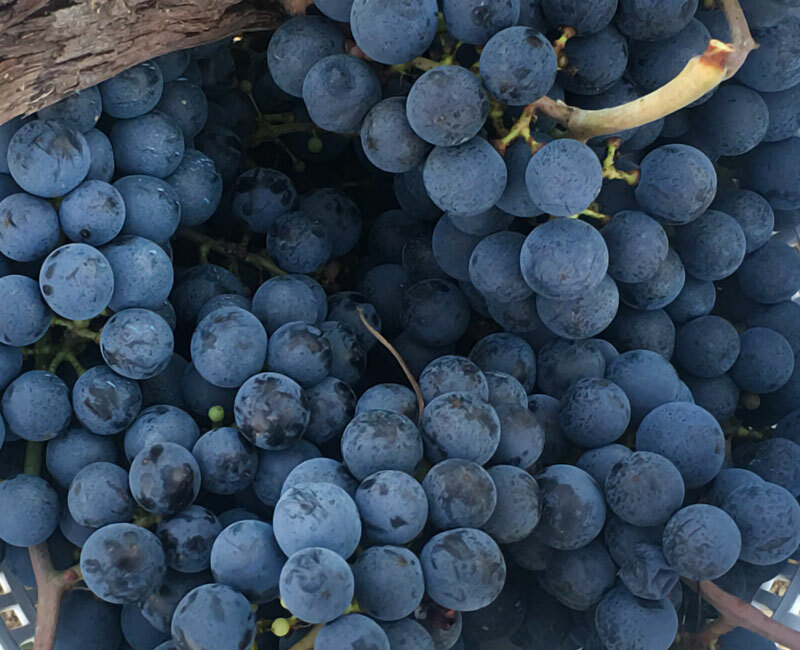 Sangiovese is the prince of our vines, along with the colorino and the canaiolo and other vines. Prodotto da uve di Sangiovese e colorino coltivate sui nostri vigneti è vinificato secondo tradizione e invecchiato in vasche di acciaio e cemento per 12 mesi. Sapore: Corposo con tannini morbidi e persistenti,sottolineati da una acidità che conferisce lunghezza e grande bevibilità. 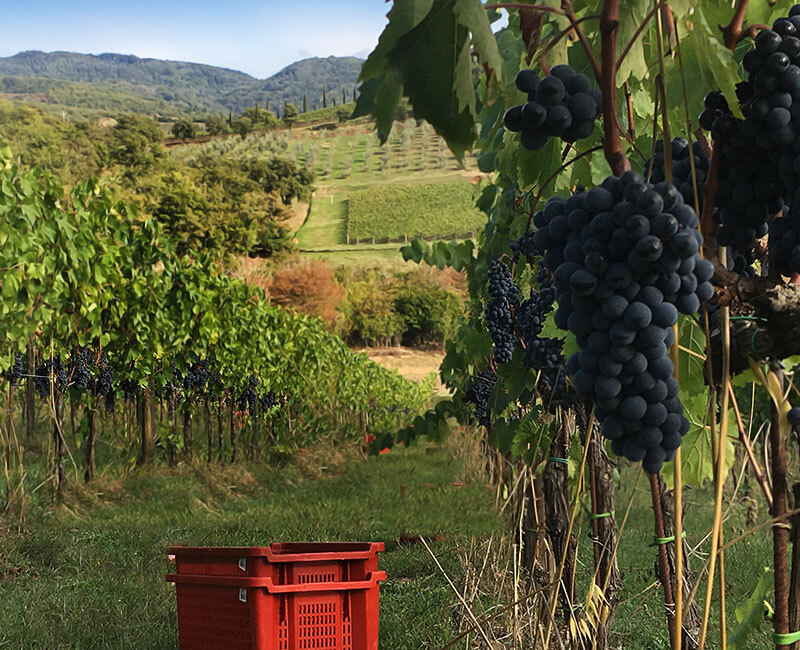 Prodotto solo nelle migliori annate da uve di Sangiovese appositamente selezionate è invecchiato per almeno 24 mesi di cui 12 in botti di rovere e successivamente affinato in bottiglie per almeno 3 mesi. The perfumes and the elegance of a wine are strictly related to ground that it has fed and this identity is this that we safeguard. Produce wine for farm ground means start a work daily in vine for then proseguirlo in cellar with one processing little invasive of the grapes valorizzando the diversity and the specificity of each single vine with vendemmie selective, microvinificazioni, refinements and assemblies of individual wines for settle this that can to be the right expression of the territory. 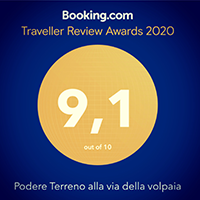 "Podere Terreno" agriturismo nel cuore della Toscana ! 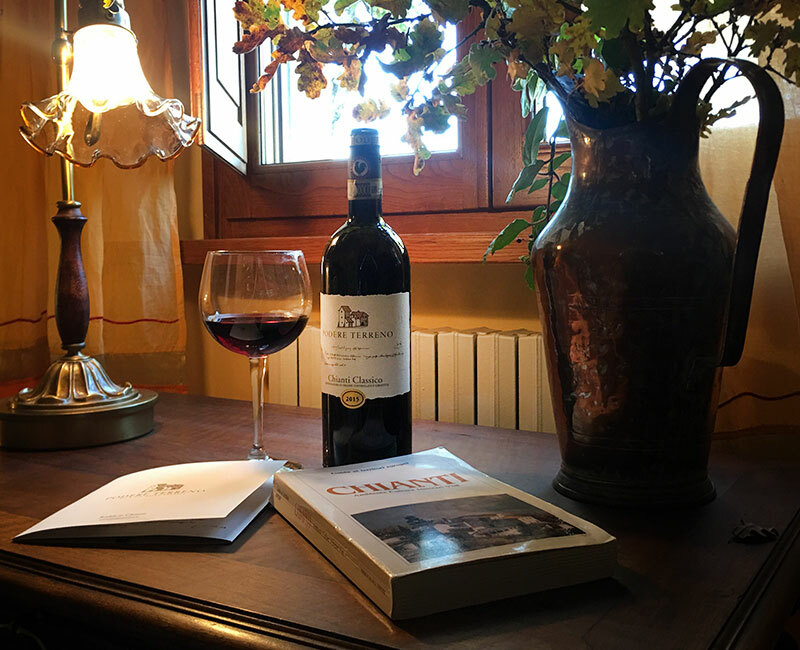 Farmhouse in Chianti "Podere Terreno"
Podere Terreno is situated in the heart of Chianti Classico, easy to reach from Siena, Florence and Arezzo.